Getting tested to detect cancer early is one of the best ways to stay healthy—or is it? In this lively, carefully researched book, a nationally recognized expert on early cancer detection challenges one of medicine's most widely accepted beliefs: that the best defense against cancer is to always try to catch it early. 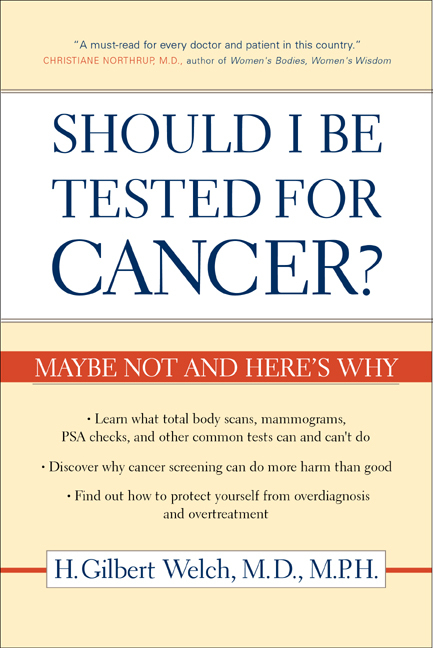 Read this book and you will think twice about common cancer screening tests such as total body scans, mammograms, and prostate-specific antigen (PSA) tests. Combining patient stories and solid data on common cancers, Dr. H. Gilbert Welch makes the case that testing healthy people for cancer is really a double-edged sword: while these tests may help, they often have surprisingly little effect and are sometimes even harmful. Bringing together a body of little-known medical research in an engaging and accessible style, he discusses in detail the pitfalls of screening tests, showing how they can miss some cancers, how they can lead to invasive, unnecessary treatments, and how they can distract doctors from other important issues. Welch's conclusions are powerful, counterintuitive, and disturbing: the early detection of cancer does not always save lives, it can be hard to know who really has early cancer, and there are some cancers better left undiscovered. Should I Be Tested for Cancer? 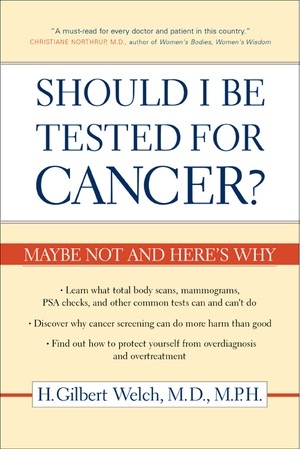 is the only book to clearly and simply lay out the pros and cons of cancer testing for the general public. It is indispensable reading for the millions of Americans who repeatedly face screening tests and who want to make better-informed decisions about their own health care. H. Gilbert Welch, M.D., M.P.H., is Professor in the Departments of Medicine and Community and Family Medicine at Dartmouth Medical School and Codirector of the VA Outcomes Group in the Department of Veterans Affairs, White River Junction, Vermont.